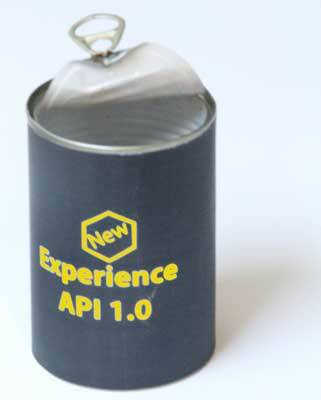 The Experience API (xAPI) specification, also known as the Tin Can API, will move from version 0.95 to 1.0 on April 26, 2013. Once this version is released, expect support from LMS and elearning tool vendors to extend beyond the current group of early adopters. The xAPI defines the next generation of SCORM which was originally released in January 2000 with support from the US government’s Advanced Distributed Learning (ADL) Initiative. The xAPI is built on standard Web Services and allows much more flexible tracking of a learner’s experience than SCORM. Support for mlearning is greatly enhanced and software development simplified. Most importantly, the xAPI can provide a granular view of a learner’s actions that will enable instructional designers to improve course quality based on real-world data. For a copy of the latest specification, see the Experience API on GitHub. For interviews covering both technical and pedagogical elements, see Project Tin Can. For an overview of its impact on instructional design, see Should Instructional Designers care about the Tin Can API? For inspiration about how learning can be enhanced with more data, see What we’re learning from online education (TED Talk). Stanford Research Institute’s Roy Amara had it right when he said “We tend to overestimate the effect of a technology in the short run and underestimate the effect in the long run.” In line with his caution, I imagine the immediate impact of the xAPI will be minor but the long term impact will be significant. Most organizations have significant investments in the existing standard and will take time to adopt a new one, despite its immediate potential. However, as mobile devices reach near ubiquitous market penetration, corporate Cloud computing gains greater acceptance, and training professionals push for a better understanding of their learner’s experience, the xAPI will become widely implemented. When this happens learning professionals will have a richer understanding of the learner’s experience that will make training more effective at enhancing performance. We understand Tin Can. Code Crew builds mLearning apps for agencies, training vendors, and healthcare brands. Sound instructional design, LMS integration, & reasonable pricing for iPad, iPhone, Android, & Web. Check us out!